Tamil Nadu Old ration cards will be automatically converted into the new smart ration cards by the government. 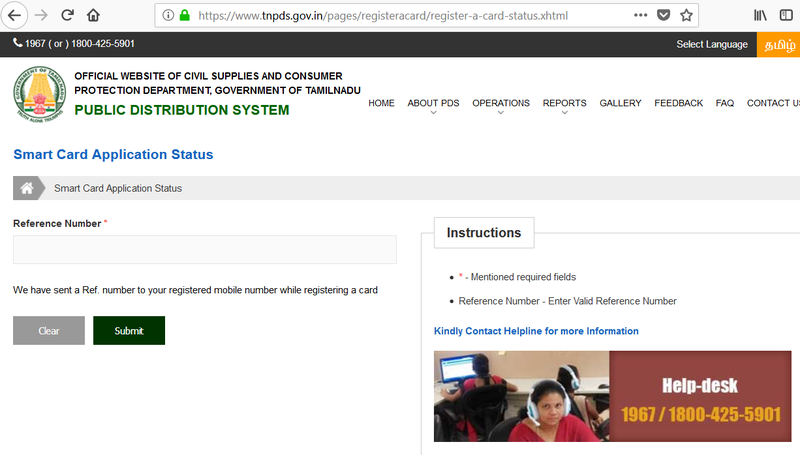 TN Smart ration cards latest notification, changes, support will be available at the official web portal of TNPDS. 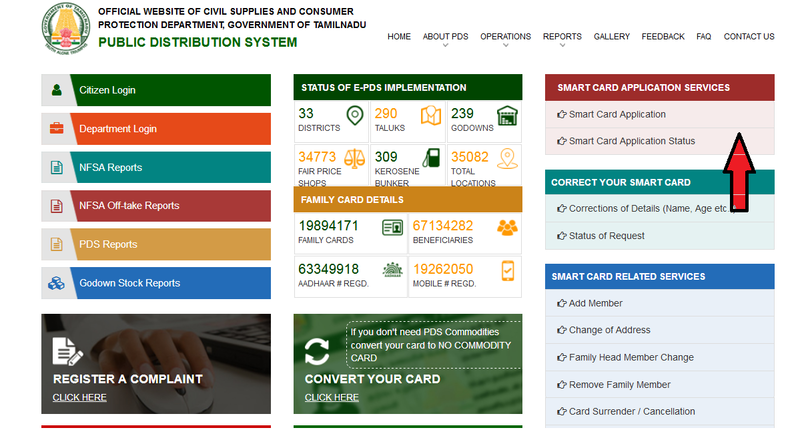 Click on Smart Card Application Status located on the top right side of the tnpds web page. Enter your reference number that is given to you at the time of tnpds registration/tnpds correction/tnpds update and click submit button. We have sent a Ref. number to your registered mobile number while registering a card . 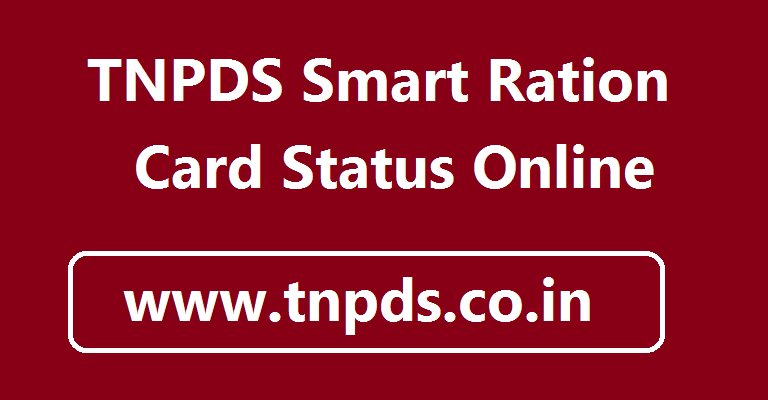 After clicking submit button, your tnpds smart card application status will be shown on Tnpds website. TNPDS.GOV.IN 2018 வெப்சைட் ஏன் வேலை செய்யவில்லை?